Kapaleeswarar Temple is dedicated to Lord Siva. 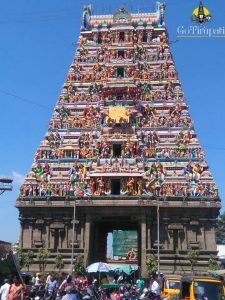 Temple is located in Mylapore, Chennai. As per the Legends, Once Lord Siva instructed Brahma the creator, to create Lokas (different worlds). Siva’s consort Paravati too was with him. A delay in the creation made the Lord Siva to pluck off one of Brahma’s five heads with his hand. 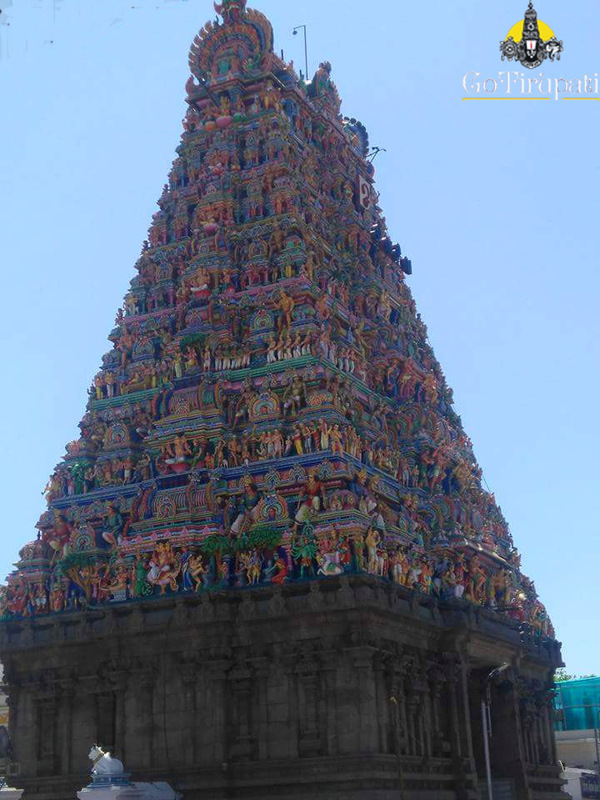 Brahma pleaded for forgiveness, Lord Siva instructed him to do penance at Mayilai (Mylapore). Brahma performed a strict penance, Lord Siva appeared before him. Lord Siva granted Brahma’s request to carry out the mammoth job of creation. Brahma gave him the title Kapaleeswara, where Kapala means Skull, Eeswara mean Lord. The skull got stuck to his hand and Siva could not shake it off. 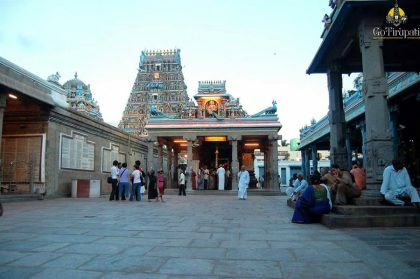 For his careless act, Siva took a penance at Adi Kesava Perumal temple which is little away from Kapaleeswarar Temple. Lord Siva Prayed here for Lord Vishnu and relieved of the sin. The skull then fell off. Another interesting story associated with this temple, Once Lord Siva was explaining the significance of Letters in the word “Kailash” to the Goddess Parvati. During that time, a beautiful peacock came by and started dancing, displaying its splendid plumes which grabbed Parvati’s attention. She missed a little of what her husband was saying and asked him to repeat it. Angered, Lord Siva cursed Goddess Parvati to become a peacock. Parvati begged forgiveness and Siva directed Her to do penance at Mayilai to regain her divine form. Parvati as a peacock offered Puja to the Siva Lingam. Impressed Lord gave her Darshan and she regained her divine form. She then requested the Lord that the place where she lived in as a peacock should be known as Mayilai. It is said that the original temple was destroyed by the Portuguese in 15th Century. 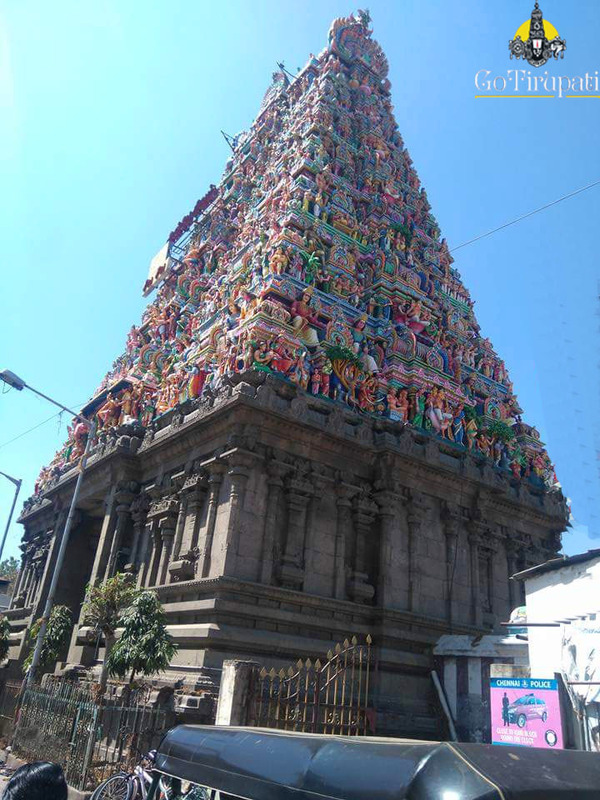 Later, Muthiappa Mudaliar from Mylapore constructed the present form of the temple in 16th Century. Temple was built in the Dravidian style with a pyramidal multi-tiered Gopuram (temple tower). 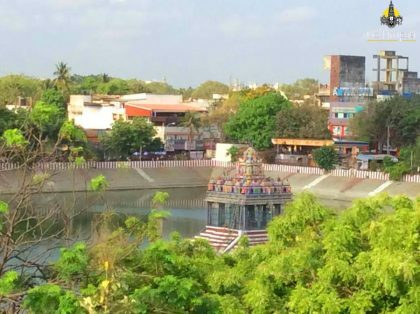 How to reach Kapaleeswarar Temple? The nearest airport is at Chennai which is 16.6 km away. Local trains to Mylapore is available in every 15 mins. 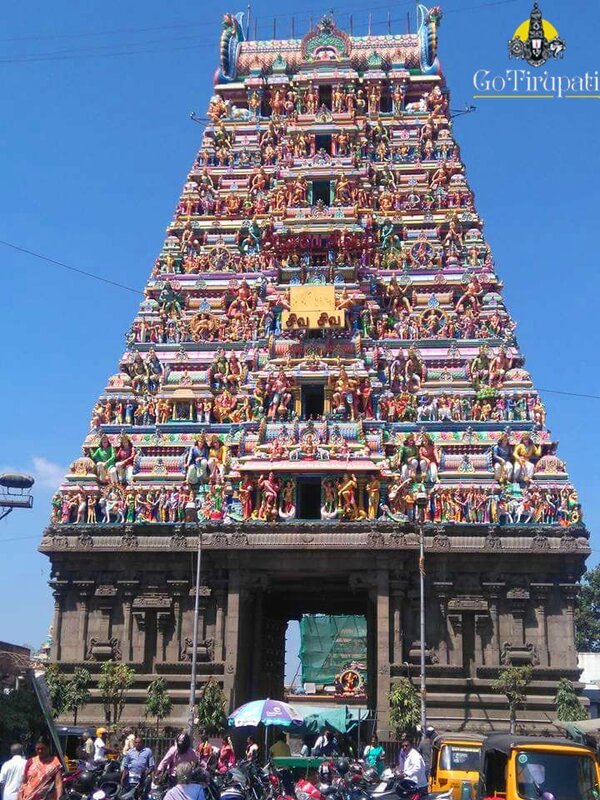 Temple is 6.4 km from Chennai Central Railway station. Direct bus to Mylapore is available from all parts of Chennai. Chennai is well connected with all parts of TamilNadu and with neighbouring states. we can help you with the requirements please call at 9393939150 for detailed information. There is no online booking , you need to contact the temple counter for booking the tickets.